Detailed interpretations of Mercury in the different Signs. What style of communication do we use? How do we make decisions? How do we pick up, process, absorb, and exchange information? These questions are answered, in part, by Mercury’s placement by sign of the zodiac. You may be an Aries, but you could also have Mercury in Taurus, so your style of communication is not quite as spirited as one would expect from an Aries. Mercury refines the Sun sign, and it helps to define how we take in–and give out–information from the world around us. Mercury in Aries communicators make quick decisions–so quick that you might think they don’t much like thinking things over. The truth is, Aries communicators don’t have a lot of patience for mulling. Their decisions are often driven by the need for instant gratification. Mercury in Aries men and women are generally quick and to the point in their communications. They are direct and candid, and some may even think their style is crude at times. At times, they can come across as downright aggressive, but that usually happens when they encounter opposition to their opinions and ideas. It is generally a result of frustration, because Mercury in Aries almost childishly assumes that others will accept their opinions smoothly. There is a sensitivity and defensiveness to Aries, and when Mercury is placed in the sign, natives tend to be quite personally attached to their ideas. These people have a tendency towards streamlined learning. They prefer not to get bogged down in details, and are adept at dismissing what they feel are irrelevant details. There’s a certain innocent charm to Aries communicators. Many will appreciate this sign’s utilitarian approach. You can pretty much count on them being straight with you, even if their Sun Sign is the more indirect Pisces. This Mercury position favors starting new things. 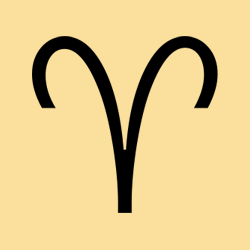 Aries is not attached to outdated ideas, and generally adopts an enthusiastic style. Criticism or negative feedback can be taken personally. Still, they are not afraid of a fight or a challenge, on a mental level. They have a visionary intelligence that is sometimes on the idealistic side. 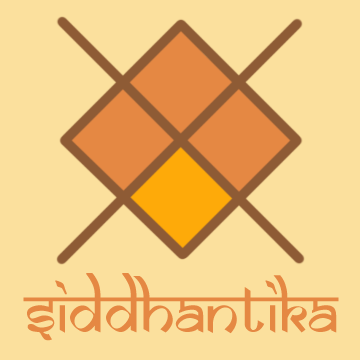 New projects and ideas are taken on with an unmatched enthusiasm with this position of Mercury. However, because there is no shortage of new ideas in life, Mercury in Aries natives can be quick to dump one mental pursuit, way of thinking, or opinion for something fresher and more exciting. Mercury in Aries people are often excellent at promoting their new ideas. When they’re excited about something, their style of communication can be so motivating and fun, the enthusiasm is downright infectious. Aries is a leader, quick to adopt absolutely new and innovative methods–they get a rise out of leading too! If the Sun Sign is in Pisces or Taurus, these people can sometimes wonder why others get frustrated with them. The truth is, they may come across as more brusque and impatient than they actually are. Mercury in Aries natives make quick decisions, and they don’t always understand it when others hedge issues or stay “on the fence”. Mercury in Taurus natives are plodders. They may take their time to arrive at a decision, but they get there — they are actually quite decisive, even stubborn with their opinions. Some may mistake the time they take over decisions for laziness, but look a little deeper and you will find that these people do think. Mercury in Taurus men and women may be slow to start a new project, but they see it through to the end. You may need to poke them to get them going, however. They have much common sense at their disposal. These people rely on their senses when it comes to processing information. Smells, noises, and mood are all employed. Their communication style may, at times, be slow and measured. You may get a sense that these people are quite deliberate in what they do. There is a placid quality to Mercury in Taurus natives–when they speak, they are generally not bubbling or scattered. As a result, others really listen to them. They take them seriously. 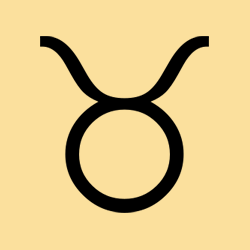 The practicality of the sign often shows up in a rather sarcastic manner, although Mercury in Taurus people have an overall pleasing manner of communicating. In fact, they can be quite funny with their “say it like it is” style. Many people with this placement of Mercury have especially pleasant voices. The down-to-earth quality of Taurus often shows up in the speech, so it’s unlikely that their expression will be flowery or affected. Instead, it’s infused with a realistic tone that can be rather authoritative. 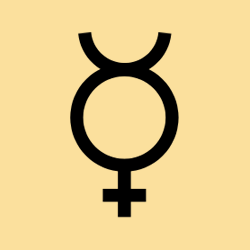 When it comes to learning, Mercury in Taurus prefers demonstrations, concrete answers, and basic concepts. These natives learn best when they see real-world uses for the theories they’re trying to absorb. Not that they wouldn’t be able to comprehend the abstract–they simply process information better when they can personalize it (what use is it to me?) and attach it to the practical world. It’s interesting to note that Taurus is a sign that naturally assesses things in terms of what they can do for them. With Mercury placed in the sign, information is processed, and either accepted or discarded, with this kind of “screening” process. Well-developed sense of color, smell, and touch are characteristic of this position of Mercury. These people have well-defined tastes, and these revolve very much around the world of the five senses. If the Sun Sign is in Aries or Gemini, these people can come across as more bull-headed than they actually are. They have a no-nonsense approach to decision-making, and their ideas are often very practical and useful. 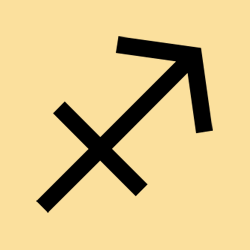 Turn to Mercury in Gemini men and women for lots of facts and figures as well as broad knowledge. Their learning is a little superficial — they generally have too many interests to delve too deeply into any one. 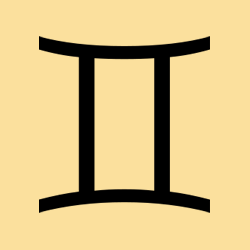 Although Gemini is a rather open-minded sign, there is often a bias towards logic. Unless Mercury forms an aspect with the Moon in the birth chart, Mercury in Gemini natives don’t always rely on intuition, nor do they take into account the world of emotion in their decision-making processes. In this sense, they can come across as a little too intellectual or just plain logical. The lack of heart behind what they say and think can be frustrating to more personal communicators. 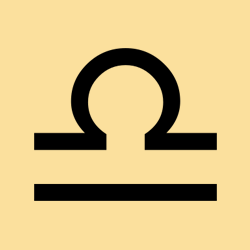 Although Mercury in Gemini people are generally interested and interesting speakers, they can also be quite detached, easily discarding or ignoring more personal issues. They don’t get attached to their opinions and ideas for too long, and the result is a changeability and coolness that can be frustrating to others. On the other hand, their curiosity and willingness to adapt to the environment around them often endears them to others. Because they possess versatile minds, you won’t have much of a problem convincing them to change their minds. Mercury in Gemini natives can be smooth talkers, even a little deceptive, although this is generally not with cruel intent. It’s done, usually, with a sense of humor. In fact, it’s more of a mental exercise than anything. They are able to quickly spot human weaknesses and then play around with them. Decision-making is generally done quickly and well. They have fun with words, they are good on the phone, and they make engaging speakers. They communicate with a strong sense of fun, and they can “speak to” people from all walks of life with equal ease. These people communicate with feeling, conveying a sensitive, withdrawn, and thoughtful nature to the people they interact with. 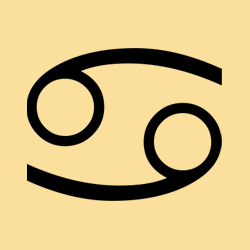 If this is the only personal planet in Cancer in their chart, they may come across as more personal and sensitive than they actually are. No matter how free-spirited the rest of their natal charts may be, Mercury in Cancer people can be very subjective and personal, or they opt not to talk at all. They are slow to respond at times, giving others the impression that they are deep thinkers. They probably are just that. Cancer is a meditative and reflective sign. Still, Mercury in Cancer people are much faster at forming opinions and making decisions than they appear. Because they listen so well to others, this speed is not obvious. You can bet that Mercury in Cancer natives will remember almost anything — from their own past, to your conversation two months ago. You might notice their memory is a little skewed in the direction of emotion. The truth is, these people remember the mood surrounding all the moments they have stored in their memory. This is because they “feel you out” when you are talking to them. The words are not as important to them as the emotions behind them. Cancer communicators come across as gentle, intuitive, and sentimental. Sometimes, they can appear quite defensive, as they can take things quite personally. They make you feel very warm and protected. Sometimes it is in their voice (solid yet soothing); and often it is in the message they are giving. Sometimes Cancer communicators can come across as if they are hiding something, which can get them into more trouble than they perhaps deserve. Mercury in Cancer retains a lot of information, and learns best when they feel emotionally balanced. They prefer to focus their concentration on subjects, and approach problems in a step-by-step manner, “feeling out” an answer. This position gives the gift of rhythm and beat. No matter what their Sun sign (and it can only be Gemini, Cancer, or Leo), Cancer communicators seem to have feelers. They pick up people’s emotions in conversations. They are the best listeners of all the signs. In fact, it is extraordinarily easy for them to get “lost” in the other person’s expression and opinion. For a while, they can almost lose their own opinions and completely step into the other’s shoes. You can count on Mercury in Cancer to come up with information, culled from their outstanding memory, that others have long forgotten. Cancer communicators’ style is to avoid arguments. But, make no mistake about it, they can provoke arguments easily. They do this in a subtle manner, then get hurt when others argue with them. Mercury in Cancer is generally attracted to poetry, archaic language, expressions of yesteryear, and the like. Because they are so aware of others’ emotions, they can be somewhat diplomatic in their dealings with people. These people appear to take their time when they make a decision, and even when they form an opinion. They need to step away from others, and be alone with themselves to explore all that they have absorbed. They ask for time to stew over new information. They are impressionable, and the smart ones know it. Withdrawing into themselves helps them to discriminate. These people can get frustrated with facts-only thinking processes. They also dislike distractions when they are talking or thinking. They need to focus on the matter at hand in order to come up with the best solutions to problems. Mercury in Cancer can be very effective speakers and writers, especially if they have Leo or Gemini Suns. Their ability to “feel out” their audience is extraordinary. Also, they are able to present things concisely, yet powerfully. If your Mercury is in Aries or Libra, you may find some of your conversations with Mercury in Cancer natives are frustrating. (The feeling is mutual, by the way). Aries communicators get impatient with Cancer’s slowness and indirect communication, while Libra communicators wonder why Cancer always seems to personalize what they say to the point of appearing like they have funnel vision. This latter is not always the case — Cancer communicators simply prefer to speak about the matter at hand, you and them, and not the rest of the world as Libra tends to do. Likewise, Mercury in Cancer can find Aries communicators rather brusque, and Libra communicators maddeningly detached or other-oriented. When Mercury in Leo people speak, they do it with authority. Some of them come across as know-it-alls, but the more mature ones speak with style. They want others to know about their presence of mind and their know-how. Mercury in Leo men and women are adept at seeing the big picture, sometimes at the cost of ignoring the details. They are generally skilled at the art of persuasion. 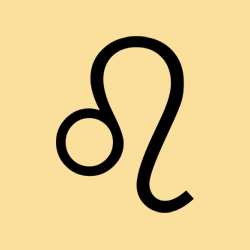 While others may try to win people over with logic, guilt, or wit, Mercury in Leo does it with warmth and good will. They are excellent at promoting ideas and getting their message across. These people can be very attached to their opinions, taking pride in their beliefs, which are often rather idealistic. They are capable people on an intellectual level, and have an especial desire for self-expression. Creativity is especially important to Mercury in Leo people. They present themselves with a certain amount of flair, and even drama. Often passionate and enthusiastic speakers, Mercury in Leo people get their message across with zeal. Some people with this position have developed a perhaps more sophisticated manner in which they present their ideas and thoughts, and these natives possess admirable style and warmth. Depending on the confidence level of the whole individual with this placement of Mercury, a stubbornness in the face of criticism or over-sensitivity to anything less than praise is present. Whatever the reaction, Mercury in Leo natives can be mentally arrogant. Mercury, by nature, is detached and reasonable. In Leo, however, the ego comes into play very strongly when it comes to intellectual analysis. With intellect and ego so closely tied, the ability to separate fact from fiction can be impaired. In some, boasting may be a problem. Probably the best way to handle this position is to find self-expression in some creative field. Mercury in Leo natives can be magnificent story-tellers, for example, mainly because they have such a wonderful sense of drama. They speak and write with heart. Mercury in Virgo people are rarely flashy in their communication style, but they do thoroughly appreciate it when others acknowledge their brainpower. These people love to keep track of all the details. They can be a little high-strung when things are not orderly or when things seem out of control, so they put a lot of energy into taking care of day-to-day, practical matters. Mercury in Virgo men and women are generally adept at organizing, planning on a short-term scale, and doing errands. They pay their bills on time, enjoy learning the details of a trade, and generally don’t balk at secretarial tasks. They function best when they (or others) have laid out exactly what they have to do. They are generally prompt at responding to others (although a Leo Sun may be less so), and often are willing to lend a hand to others by doing research and leg work for them. Generally, these people are considered rather useful in their work and as friends because they have a handle on the details of the things they do. Although they are capable of learning a lot, they need orderly environments in which to learn and study, and organized study methods. They generally pick up a lot of facts and figures, and learn their own trade well, but have trouble truly absorbing the knowledge they collect on a deeper level. Although resourceful, Mercury in Virgo is not as strong at lateral thinking than, for example, water sign Mercuries. If your Mercury is in Sagittarius or Gemini, you may find Mercury in Virgo difficult to communicate with. Although you two may share common interests, the way you deliver your message can be intensely different to the point of frustration. Learning to understand that your thought processes are different, and the way you present your ideas differ, but there is more common ground than you may know. Mercury in Virgo natives may appear humble at times, but they get quite protective when it comes to handling day-to-day affairs. They can be very impatient with others, feel they do these things best, take on more work than they should, and then complain that they are doing all the dirty work. Libra communicators come across as very pleasing. Diplomacy comes naturally to these natives. At the very least, they take many pains to be diplomatic. Whether they succeed or not depends on their audience?but more on that later. Mercury in Libra looks for compromise. Middle ground is constantly sought. In fact, they are extraordinarily uncomfortable with extremes of opinion! This makes them excellent counselors and go-betweens, but it also gives rise to plenty of indecision in their personal lives. In their desire to find the best, fairest, most just choice, they can swing from a pro to a con, and back to a pro again–but we can’t forget another “con” just to balance the last “pro”. It can be dizzying for others to observe! They simply can’t help but see the other side. This maddening characteristic leads to a strange paradox — they can end up seemingly incapable of giving a compliment without a “but”. After all, complimenting you is essentially drawing a conclusion, or forming an opinion. This is a paradox because Libra is charming, but give them a little time with something, and they will have a hard time arriving at a totally good (or totally bad) conclusion. These people are on an eternal quest to get to the very heart of any matter. This appears in anything that requires thought, and in almost every conversation they have. 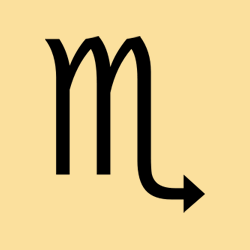 Totally fearless when it comes to delving into depths that nobody else wants, or even thinks, to explore, Mercury in Scorpio is adept at learning the source and the core of any problem or issue. They are blessed (or cursed, depending on how you want to look at it) with the observation skills of a surveillance camera, seeming to just see all and know all. Sometimes they can be quite “dark” because of their tendency to focus on the false in order to get to the truth. These people detest superficiality. They come across as suspicious and can annoy other, more optimistic people with their negative take on things. Scorpio communicators are passionate in their speech, sometimes even given to lecturing. Remember, though, that they are just as passionate about giving you real advice and help. They are quite willing to let you in on a few of their secrets–regarding other people, that is, not themselves. The truth is, they have observed things that many have not. If their observations seem a little bit skewed toward the negative, try to overlook it. You may just discover that they’ve given you some of the best advice around. They are at their best when they are talking about things that they are not personally involved with. That is when their shrewd judgment shines. It is when they are personally involved that their judgment can get clouded over. Their intelligence is absolutely instinctive. Strategies are their specialty. Their idea of constructive criticism can be interpreted as destructive criticism, depending on their audience. It can be very hard to win an argument or debate with Mercury in Scorpio. They are absolutely driven to win, not just for the sake of scoring intellectual points, but simply to come out on top in general. Besides that, it is hard to deny that their thinking is really quite lucid, at least in presentation. You may be gritting your teeth, but it will be hard not to concede. They’ll staunchly support and defend anyone they care about. And, their energy in speech (or sheer intensity) can be motivating. 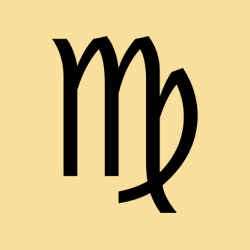 You may walk away from a Mercury in Scorpio native, after they’ve given an impassioned speech, saying “whew!” But you’ll generally have received an awesome pep talk, if they like you. The pep talk may have been at someone else’s expense, however (they may have torn someone else apart to boost you up, for example). Scorpio’s take on people often has to do with motivations. Often, they feel people are motivated by jealousy. They should know, if they are also Scorpio Sun and/or Venus Scorpio, because they have lived it. They are naturally suspicious, expecting bad intentions first. Mercury in Scorpio people love intrigue, mystery, and hidden motives. If they don’t channel this interest into mental pursuits, they can end up creating their own mysteries. Others might start wondering if they are paranoid. Mercury in Scorpio loves anything that challenges the brain and are often interested in what makes people tick. Freedom of thought is what Mercury in Sagittarius strives for — at least in theory. These people communicate in an optimistic, forward-looking manner. Their ideas are generally very big, but it’s probably wise to use tact when you see all the little holes in their arguments. Remember, they mean well. These people have vision. Not always thrilled about focusing on details, Mercury in Sagittarius people prefer to expand their mental horizons through thinking and reading about larger subjects, like philosophy. Their thirst for knowledge can be insatiable, but they have little patience with dry academics or cold, hard facts. Theirs is a restless intellect. They learn best when they are given the freedom to think for themselves, when they are truly interested in the topic at hand, and when the things they’re learning are fun. Even though their definition of justice might bewilder some, Mercury in Sagittarius defends justice and freedom religiously. They generally have a whole slew of principles they follow, or at least defend in conversation, and they’ll gladly discuss them all with you. Their optimism is both their strength and their weakness. After a conversation with these people, you’ll probably feel stimulated and invigorated. They make life a little better for their positive, optimistic outlook. But sometimes that optimism can be a little blind to reality. Organization, too, is not a forte of Mercury in Sagittarius. Who has the time for organizing anyway? When the clutter around them gets too unbearable, they’re given to trashing or piling things instead of putting them in their rightful places. They do appreciate lots of room, or at least the illusion of space, when they’re working, studying, or thinking. So, their office might look alright at first glance. Open up a drawer or a closet, however, and you might find it’s bursting its seams. Conversations with Mercury in Sagittarius are always interesting. You can’t help but admire their enthusiasm. At their worst, they take to preaching instead of conversing. This may not be intentional, and can get Mercury in Sagittarius into all kinds of trouble nonetheless. A good debate is hard for people with this position to pass up. Mercury in Sagittarius natives think they are very open-minded–and they are in spots–but they can come across as quite moralistic at times too. They’ll be the first to spot bias or prejudice in everyone else’s communication, but they can be a little blind to their own. They’re not always the best listeners, either, and not adept at picking up the subtleties in your conversation. Bluntness of speech is a trademark of Mercury in Sagittarius. These people get impatient with indirectness and beating around the bush. It baffles them. It may even piss them off for a while. A sure-fire way to get under their skin is to play mind games with them. They may not always pick up on the game-playing at first, but when they do, they won’t be amused. When they’re not fired up about some issue or another, these people are fun-loving. They love to laugh, and it’s usually pretty easy to get them giggling. With Mercury in Capricorn, natives have a strong need to compartmentalize the impressions they get from the world. These people often speak and write in a slow and methodical manner. They appreciate structure and order. Although they are resourceful people, Mercury in Capricorn natives easily get frustrated when too much information is thrown at them at once. They break down ideas into manageable parts before arriving at a decision. Usually quite mentally active, these natives are generally productive people who prefer taking on projects that will yield tangible and practical results. These natives can have an authoritative air about them. They don’t appreciate being taken off guard, and they quickly become impatient with people who don’t honour their word. There’s a bit of a law-maker in this position of Mercury. These people can seem a little strict and judgmental with others, and they are easily bothered when others don’t seem to “get” things that seem extraordinarily obvious to them. Mercury in Capricorn people can have seemingly crystal-clear judgment, although their thought processes can be skewed to the practical world. They too easily reject what they deem to be frivolous ways of thinking. Not given to much fancy, these natives’ minds are oriented toward practical tasks. There’s a bit of a doubting Thomas in Mercury in Capricorn people. Many squint often–not due to poor eyesight, but because their first reaction to information is skepticism! It’s more of a furrowing of the eyebrows, and it’s often seen in people with a strong Saturn (Capricorn’s ruling planet) in their charts as well. With the Sun in Sagittarius or Aquarius, these people may come across as more hard-nosed, conservative, and practical than they actually are! The reason for this is that they process, and relay, information (Mercury) in a Capricorn way. 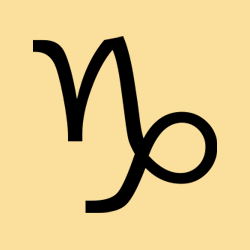 The style of communication with this position of Mercury is generally of the no-frills variety. Capricorn is a sign that hates waste and values time. They will generally be rather concise in their presentation, although they do take their time when they make plans–they consider it an investment in the future. Many natives of Mercury in Capricorn choose their words carefully. They fear coming across as inept, so they may be a little stiff in presentation. Even those who seem quite smooth (and many of them do achieve this) will likely have fretted over their ability to communicate and their intellectual abilities. Communication difficulties are generally most obvious when Mercury in Capricorn people are relating to those with Mercury in Aries (who find them too deliberate and methodical), Mercury in Cancer (who think they’re too cold and practical), and Mercury in Libra (who find them too judgmental). 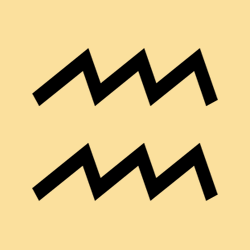 Mercury in Capricorn people have their gripes with them too–Aries seem too hasty, Cancer too emotional, and Libra too argumentative. The key to overcoming these challenges lies in understanding that they are the result of differences in styles of communication. Unconventional in self-expression, Mercury in Aquarius natives enjoy breaking the rules. They are not necessarily loud or flamboyant people, but they often have a quiet way of stirring others up. These natives delight in exposing what they deem biases in others’ way of thinking. Very quick to contradict others, and to offer a different perspective, these natives enjoy intellectual debates. They’re very quick and alert, and their powers of observation are particularly strong. They usually “win” debates. In fact, they’re very interested in scoring intellectual points, which can be maddening to others at times! Aquarius is an air sign, which is detached and intellectual by nature. It is also a fixed sign, so people born under Mercury in Aquarius often have an intellectual “agenda”. They are even given to forcing their ideas on others. This apparent intellectual superiority complex can intimidate others at times. On the other hand, Mercury in Aquarius people can make for delightful company. They usually have something interesting to say, and their perspective on issues can be delightfully unusual, quirky, and surprisingly insightful. These individuals have unusual study habits. They generally are resistant to following schedules, even if they have a Capricorn Sun–and perhaps particularly so with a Pisces Sun sign. Although they are often surprisingly organized, their sense of order may not be entirely understandable to others. These natives are often attracted to scientific and/or metaphysical pursuits. Anything that promises progress and advancement for mankind has special appeal. Their sense of humor is often well-developed and unique. Practical jokes and anything that shocks and stirs up others are especially appreciated by Mercury in Aquarius people. 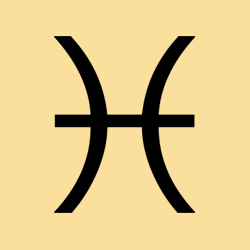 Mercury in Pisces are gentle communicators with a soft touch that is pleasing and warm. Some of them come across in an almost poetic way. Not given to bother too much with details, these individuals tend to sponge up the feelings and moods of their environment. The information they extract from their surroundings can be unusual and certainly unique. For some, it is heavily skewed in the direction of emotion and feeling. They’re generally lovely listeners and, when you get them talking, warm conversationalists. When it comes to communicating, they’re moody, and this extends to their letters and emails too. It’s a kind of odd thing — you never know when they’ll be in a quiet mood or a yakking state. These individuals don’t compete for air time, but they can talk up a storm when they’re in the right frame of mind. Predicting when that will be can be difficult, though. Mercury in Pisces is tactful because they don’t want to offend others in any way. They feel out their audience and sometimes search for what they think others want to hear. Yes, Mercury in Pisces can fib. It’s not that they are malicious–they simply want others to be comfortable. These people come across as dreamy and indirect. It can be hard to pin them down to any one belief or decision. It’s not that they want to drive you crazy or anything–it’s just that Mercury in Pisces takes in so much information from the world and their open-mindedness prevents them from taking a stance for too long. They have an unusual aversion to cold facts and hard decisions. Driven more by intuition than facts, these people avoid list-making and the like. Others might think them disorganized but they have an uncanny knack of finding things nonetheless. There is a tendency to avoid detail work or tying up loose ends, not to mention the mind drifting off to Never-Never Land. Mercury in Pisces is tuned in to all the nuances of subjects and environments. They pick up on subtleties of all kinds, so what they lack in organization they make up for with insight. When the Sun Sign is Aries, much of the brashness and directness of Aries is considerably toned down with Mercury in Pisces. Aquarius Sun people with this position are artistic and humane. Mercury in Pisces people are often vague and indirect in their communications with others. If they learn to express themselves with more clarity, they’ll find that a lot of the problems they can encounter with misunderstandings will lessen. Their impressionable nature can make them an easy target at times. Their plans may seem too dreamy and unrealistic to more practical sorts, lacking the details that make them seem more attainable. But Mercury in Pisces’ vision is extraordinary, and their leaps of faith are admirable.